FC Barcelona is the fourth most valuable sports club in the world according to the prestigious North American magazine Forbes, specialised in the world of business and finance. The publication has made its annual survey that analyses the economic worth of the biggest sports clubs in the world and creates a list of the 50 most valuable clubs. 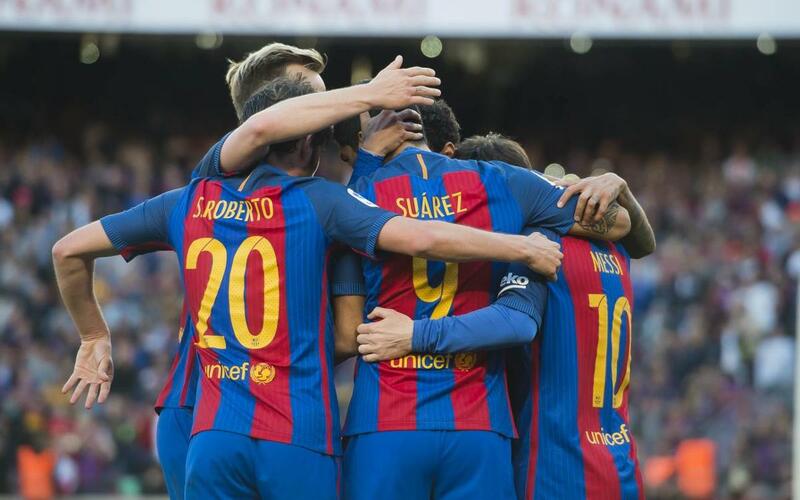 Barça are fourth on this list with a value of $3.64 billion, which is a 2% increase on the previous year. This leaves the Catalan club behind the NFL’s Dallas Cowboys and the MLB’s New York Yankees, with $4.2 billion and $3.7 billion respectively, and another football team, Manchester United. The English team has benefited from a new TV rights deal that has seen it grow 11% from 2016 to reach $3.69 billion. The difference between between Manchester United and Barça is only $50 million. Forbes produces a list annualy and takes into account TV rights, player contracts and costs among other parameters. This year, the list features 29 teams from the NFL, eight from the MLB, seven from the NBA, and seven from European football. Manchester United is the third biggest sports club in the world and the biggest football team. They are followed by Barça in fourth and Real Madrid in fifth, who lost first place in 2016 to the Dallas Cowboys after having been top for three years running. The next football club is Bayern Munich in 15th place, followed by Manchester City in 35th, Arsenal in 43rd, and Chelsea in 46th. The NFL’s Dallas Cowboys first place confirms that the American football league is the most profitable in the world. Further evidence of this is the fact that 29 of the 32 teams in the NFL are in Forbes’ top 50 ranking. In an international context, FC Barcelona are well ahead of all the NBA sides, with their top team, the New York Knicks, coming in in seventh place. Moreover, they are only behind one MLB club, the North-American baseball league’s historic franchise the New York Yankees. Forbes reported that the cut-off point to be a part of this elite group of the most valuable clubs was higher than ever at $1.75 billion. There are 36 clubs who are worth over $1 billion and haven’t made it into this exclusive group. The main reason for the growth of sports club is due to TV rights deals, especially in the Premier League and the NBA.